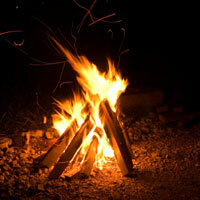 Bonfires affect air quality and there are no specific by-laws that prohibit them. However, specific environmental laws make it an offence to cause fumes or smoke to be released into the air that are harmful to human health or affect the enjoyment of property. You are entitled to complain to your local council if a neighbour starts a bonfire that you object to, but it is best to try talking to the neighbour first. Before a bonfire can be treated as an environmental offence, the council will need to know: How long did the fire burn for? Was there any dark smoke? Was the amount of smoke enough to affect an average person's use of their property? Does the neighbour have bonfires regularly? Apart from Guy Fawkes’ Night in November and barbecues in summer, most domestic bonfires are used to get rid of garden waste. The National Society for Clean Air and Environmental Protection (NCSA) has helpful guidelines on the hazards and suggestions for alternatives (see link below). Straw and stubble burning on farms pose a fire risk to people who live nearby. With a few exceptions, it is prohibited in England and Wales. Contact your local authority for further information. Farmers in Northern Ireland can register with the Environment and Heritage service (the regulatory agency) for an exemption to burn stubble in the open. Although there is no express ban on stubble burning in Scotland, it is strongly discouraged by environmental regulators, particularly when it causes dark smoke to be released. Under the Highway Act 1980, it is an offence for smoke from a fire to spread to the public highway and to endanger traffic. If this happens, contact the police.